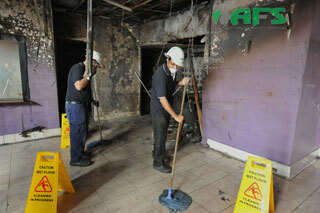 AFS Rapid Response specialises in Emergency Fire Restoration. Our team of specialists will make the site safe. Our qualified tradespeople will then commence repairs to your premises. AFS deals with most insurance companies, so contact AFS today for a free quote.